A powerful fat-soluable antioxidant, Vitamin E scavenges free radicals protecting cells from oxidative damage. 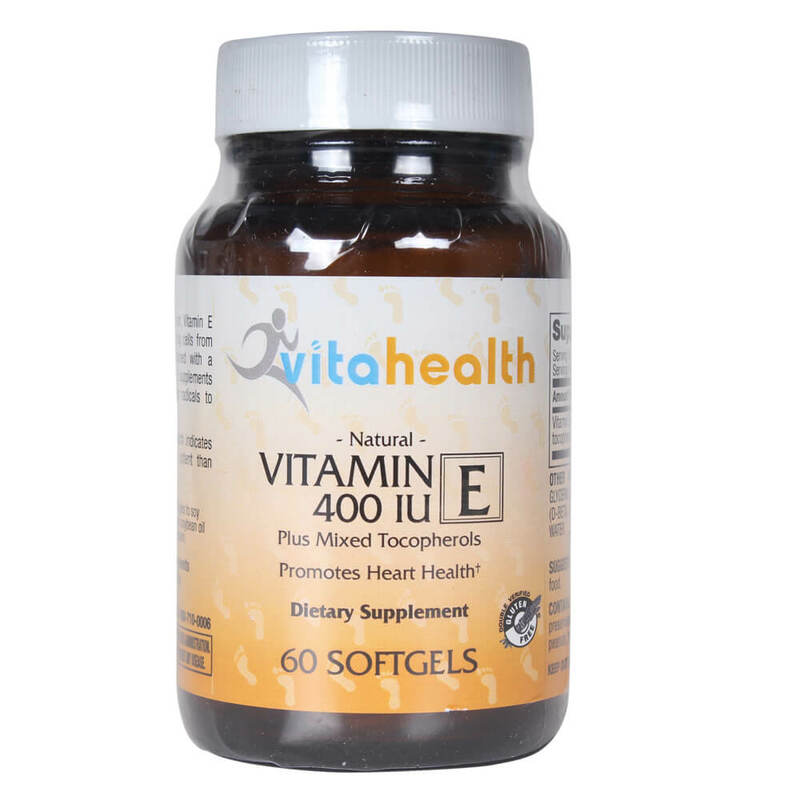 When combined with a healthy diet and lifestyle, vitamin E supplements can help neutralize excess free radicals to promote heart health. Our Vitamin E is natural. Research indicates natural vitamin E to be more potent than synthetic forms. Try our Vitahealth Vitamins today!